Rico Love Drops New Album “Even Kings Die” – Stream Here! Rico Love has decided to come out a long hiatus to drop his sophomore album titled, Even Kings Die. The new album will be the song writer/ producers first album since dropping his 2015 album, Turn the Lights On. In the past Rico Love has written and produced songs for the likes of Beyonce, Trey Songz, Mary J. Blige, Kelly Rowland and others. Even Kings Die is a 13 track album featuring Bryan-Michael Cox, Teedra Moses, Scarlet and Ball Greezy. Rico Love issued the following message with the release of Even Kings Die.  #"Even Kings Die"#Featured#floss Magazine#Lifestyle#new album#Rico Love#Rico Love Drops New Album "Even Kings Die" - Stream Here!